June 14, 2017, 9:55 a.m.
By Ricardo Bilton @rbilton June 14, 2017, 9:55 a.m. When it comes to hearing from readers, The New York Times wants to go a lot further than just letting people chime in at the bottom of some articles. 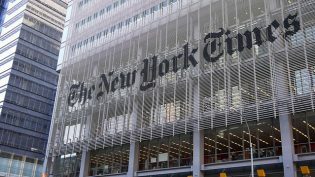 Last week, the newspaper announced The New York Times Reader Center, a new initiative focused on finding new ways to connect with Times readers and deepening the connections it already has. The team, whose “exact size is still taking shape,” according to a Times spokesperson, will be staffed by a handful of journalists who will work with various Times departments — including interactive news, social, and even marketing and branding — on various reader-centered projects. With the Reader Center, the Times is the latest news organization to make deeper reader engagement more core to its editorial processes. Some organizations (The Boston Globe, The Washington Post, the Times itself when it comes to podcasts) have turned to Facebook groups, while other efforts (New Hampshire Public Radio’s Civics 101 podcast, The Texas Tribune’s community editor) are using reader input to influence their editorial decisions. While these efforts go beyond article comments in an effort to engage readers, comments, too, are a big part of the equation. As my colleague Shan Wang reported earlier this week, the Times aims to open 80 percent of its articles up for comments this year, up from 10 percent, using algorithmic tools to help evaluate them in bulk. 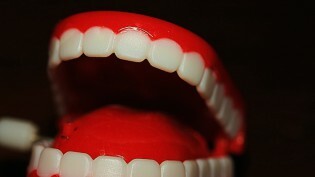 The Times also plans to amplify reader voices by regularly producing comment roundups. “We want to do everything we can to hear more of those voices and amplify them,” Ingber said. Ingber said that while the Reader Center isn’t designed to replace the public editor, the new initiative is similarly built around the mission to create greater transparency into how Times stories are produced, and to hear directly from readers on how it can improve its processes. 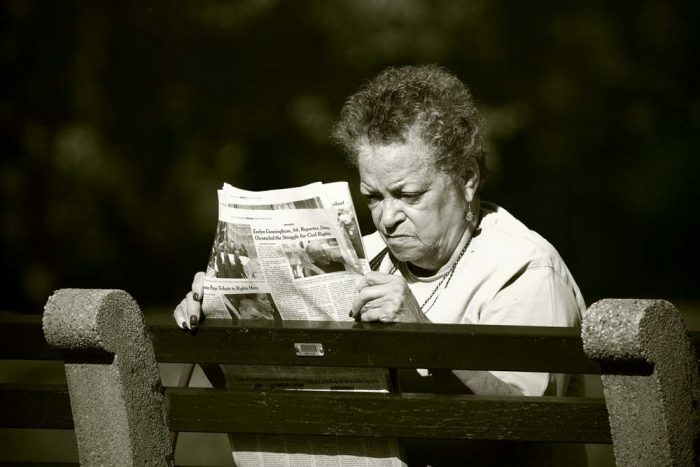 Photo of a woman reading the New York Times by Eflon used under a Creative Commons license. POSTED June 14, 2017, 9:55 a.m.
Bilton, Ricardo. "With its new Reader Center, The New York Times wants to forge deeper connections with its readers." Nieman Journalism Lab. Nieman Foundation for Journalism at Harvard, 14 Jun. 2017. Web. 23 Apr. 2019. Bilton, Ricardo. "With its new Reader Center, The New York Times wants to forge deeper connections with its readers." Nieman Journalism Lab. Last modified June 14, 2017. Accessed April 23, 2019. https://www.niemanlab.org/2017/06/with-its-new-reader-center-the-new-york-times-wants-to-forge-deeper-connections-with-its-readers/.